• Never attempt to recharge the battery when the battery cables are connected. 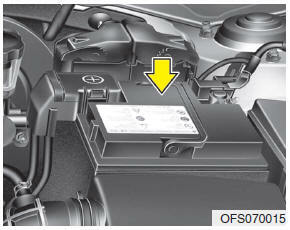 • Always charge the battery fully to prevent the battery case from being damaged in low temperatures. • If you use unauthorized electric devices, the battery may be discharged. Never use unauthorized devices.